If workforce management were just about dealing with cooperative, competent employees, it wouldn’t be such an important skill. Inevitably, however, anybody overseeing a job site deals with workers who are not easy to manage. The mark of a good manager is in knowing how to guide and motivate people to reach their full potential – and as needed, tapping into workforce tools to make life easier. Here are a number of ways that you can deal with workers that have discipline issues, helping both them and your company in the long run. If you have workers who are constantly grumbling about their responsibilities, colleagues or other working conditions, don’t just ignore or dismiss them. That only fulfills their belief that they are being treated unfairly. Instead, give your unhappy employees the opportunity to articulate their concerns. Ask them to elaborate on the source of their unhappiness and ask them to propose a tangible solution. There are two likely conclusions: either they will make a compelling case that there is a serious problem and offer a solution that you agree is worth considering, or they will admit that there’s nothing that can be done. If you regularly have conversations with employees where they feel that they have an open forum to discuss issues, you will be more likely to learn about actual problems in the workplace that need to be corrected. Just as important, this format encourages disgruntled workers to back up their complaints with evidence while thinking more constructively about how they can change the status quo. By entrusting employees to make a difference, this can also help them feel more humbled and appreciative of their job and employer. 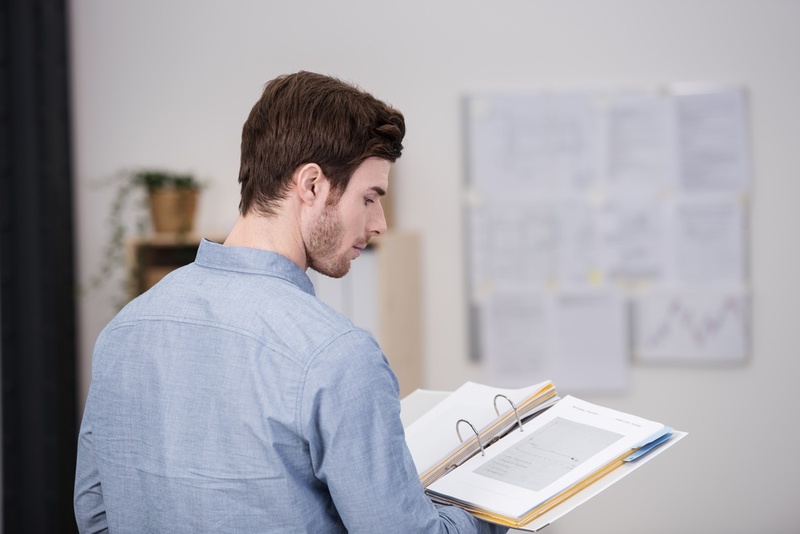 Every new employee should be presented with a handbook on the first day that clearly sets expectations for behavior and consequences for misconduct. Tardiness, for example, is one of the most common infractions just about any manager deals with. In many jobs, being punctual matters for specific reasons (such as client meetings or for employee scheduling purposes). It may also be worth noting how being constantly late impacts other people on the team – by plainly outlining the consequences, you can address the behavior before it becomes a serious issue. It is extremely important that enforcement be consistent. Even your top employees need to be subject to official consequences when they arrive late or forget to lock up the equipment at night. When enforcement is unclear or arbitrary, there’s a greater chance that you’ll be inconsistent in how you treat your staff, leading to confusion and friction. Finally, don’t come up with rules that you know workers won’t be able to follow or set expectations that you know they won’t be able to meet. That is demoralizing to employees and a recipe for failure. Rather than making them shoot for the stars, it will simply leave them with the impression that the goals and rules you set don’t mean anything. When it comes to disciplining staff, make sure to keep accurate records of every violation, and studiously document all communication with employees regarding infractions or poor performance. First, the records are there to ensure that you are enforcing the rules fairly. It’s not easy to keep track of every violation when you’re overseeing a large number of employees over a long period of time. Second, failure to document the infractions and the subsequent warnings could put you in legal jeopardy if you decide to discipline an employee. It’s much easier to justify a suspension or termination if you have records to show that you gave the employee ample opportunity to improve his performance. The more you are able to act clearly and logically in response to misconduct, the easier it will be for you to come up with a productive solution. Try to think of different explanations for unsatisfactory behavior. Consider ways that you might be able to address the situation without resorting to severe disciplinary measures. For instance, let’s say two employees are constantly getting into inappropriate arguments that distract them and their coworkers. The conduct is obviously unacceptable, and they should be warned that they risk serious consequences if their behavior doesn’t improve. But in the long-term, you might be able to solve the problem more effectively by reassigning them to different sites or shifts, rather than have the disagreements negatively impact the rest of your team. While managing employees effectively can be an emotional rollercoaster, it’s always best to take a moment to assess the situation rationally. Think about how to solve the problem – and perhaps even task the employees themselves to come up with the best approach. Chances are it is the conduct that is unacceptable, not the person. So focus on the specific actions, rather than making broader criticisms of the employee. For instance, if an employee is being rude to coworkers, emphasize in your response that such actions cannot continue, and that you expect better behavior in the future. If you respond by attacking them personally, including by voicing assumptions or opinions (such as “you’re a mean person”), it changes the criticism to become more subjective and personal. Certainly, this perception is not going to breed a better worker, and will likely just lead to more issues. Employees are more likely to take criticism to heart if they believe it’s coming from a supporter, rather than an adversary. Make clear to a worker who is being reprimanded that you believe he is capable of better behavior. Spend a moment highlighting some positive attributes and emphasize that you don’t want to lose their contributions on the job site. Showing an employee that you value their strengths can make it easier for them to accept constructive criticism. Don’t try and hide your critiques though – this should still be clearly communicated to avoid any misunderstanding or ambiguity. No one enjoys firing employees, but when you've exhausted all other options, there’s just no other alternative. If you appear unwilling to dismiss an employee who won't improve their conduct, then you risk giving the impression that there are no consequences for bad behavior. That is unfair to you as well as to the workers who are working hard and abiding by the rules. In some cases, moreover, firing an employee may be the only way that she learns to improve her behavior. It may very well be an important lesson that will serve her well in the long-term. If you do decide that an employee needs to go, be firm in your decision and develop a plan to release the employee respectfully. Just like most other crucial areas of workforce management, your ability to deal with difficult workers is based largely on whether you can effectively communicate expectations and provide constructive feedback in response to results. That crucial component of workforce management is made all the more challenging when you’re overseeing large numbers of mobile workers working at multiple locations. The good news is that technology allows you to communicate with mobile workers more easily than ever before. By allowing managers to set up and share checklists with employees, workers can simultaneously track the progress of a project and know which tasks have been completed and which are outstanding. 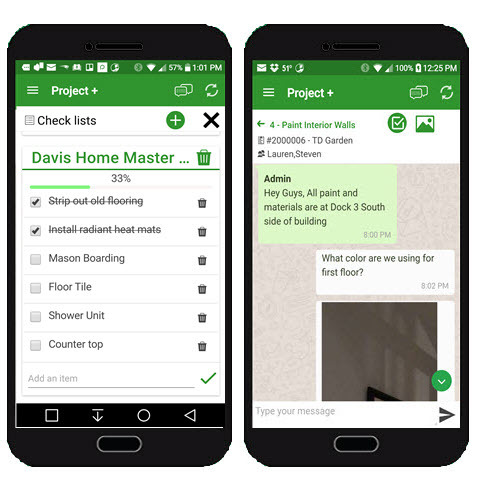 Real-time communication and instant language translation within an app, either in group conversations or via private message, allows your team to stay in touch and address issues as they arise. No matter how you’re corresponding with workers, the key is that you do so in a respectful manner that conveys integrity on your part, even when you’re delivering bad news. If you can manage that, you’ll not only be able to more effectively deal with problem workers, but you’ll also have fewer problems to deal with.